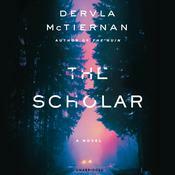 A compulsive new crime thriller set in the fiercely competitive, cutthroat world of research and academia, where the brightest minds will stop at nothing to succeed. When Dr. Emma Sweeney stumbles across the victim of a hit-and-run outside Galway University early one morning, she calls her boyfriend, Detective Cormac Reilly, bringing him first to the scene of a murder that would otherwise never have been assigned to him. The dead girl is carrying an ID that will put this crime at the center of a scandal—her card identifies her as Carline Darcy, heir apparent to Darcy Therapeutics, Ireland’s most successful pharmaceutical company. Darcy Therapeutics has a finger in every pie, from sponsoring university research facilities to funding political parties to philanthropy—it has even funded Emma’s own groundbreaking research. A gripping and atmospheric follow-up to The Ruin, an “expertly plotted, complex web of secrets that refuse to stay hidden” (Karen Dionne, author of The Marsh King’s Daughter), The Scholar is perfect for fans of Tana French and Flynn Berry. 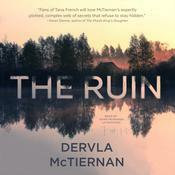 Dervla McTiernan was born in County Cork, Ireland, to a family of seven. 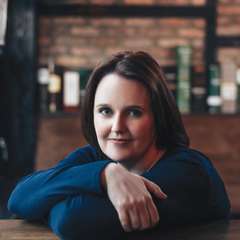 She studied corporate law at the National University of Ireland, Galway, and the Law Society of Ireland and then practiced as a lawyer for twelve years. Following the global financial crisis, she moved with her family to Western Australia, where she now lives with her husband and two children. In 2015 she submitted a story for the Sisters in Crime Scarlet Stiletto competition and was short-listed. This gave her the confidence to complete her first novel, The Ruin.